Honey Brook Borough and Honey Brook Township (additional funds to complete regulatory amendments). Competition in the spring cycle was strong, and unfortunately multiple applicants were turned away due to limited funding. This speaks to the ongoing desire of municipalities to properly plan for the future. When applications are turned away, the Planning Commission works with a municipality to strengthen its application for a future VPP grant round or potentially for another funding opportunity. In addition to the recent VPP grant cycle, several planning projects wrapped up recently. Easttown, funded through the in-kind technical services portion of the VPP, adopted a new comprehensive plan in April. Developed with staff assistance from the county’s Planning Commission, the new plan focused on the township’s villages, pedestrian and bicyclist mobility, making the Route 30 corridor a complete street, and township services. Thornbury also recently adopted a new comprehensive plan with staff assistance from the county’s Planning Commission. The comprehensive plan focused on land use and community character, infrastructure, green spaces, and community facilities and services. The Chester County Commissioners established the VPP in 1996 to promote cooperation between the county and local governments in the implementation of the county’s comprehensive plan. 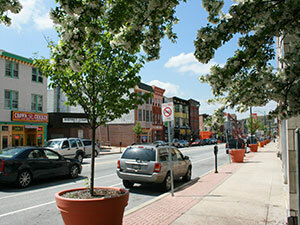 The grant program provides financial and technical assistance to municipalities in the preparation of comprehensive plans, ordinances, official maps, and special planning projects, such as connectivity plans, open space plans, economic development studies, historic surveys, and corridor plans. Projects can be funded at the single municipality level or multi-municipal level. The second round of the program will be opening in late June, with the deadline set for Aug. 15. Read more details on the program.